Dark red cups surrounded by copper petals. Small cupped. 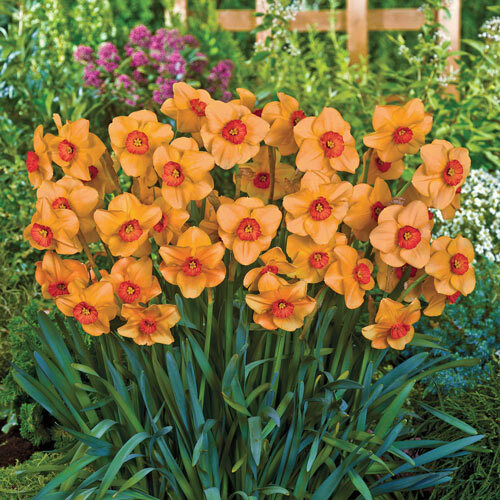 Here's a delightful assortment of different Daffodils, each with their own unique appeal! Small-Cupped Daffodils have less-prominent trumpets and larger petals.